March 25, 2019—The most compelling historical argument for the need to restore the Hamiltonian American System is the fact that Hamilton’s economic system could have prevented the U.S. Civil War. I develop this argument in Chapter 10 of my book Hamilton Versus Wall Street, citing numerous writings by Abraham Lincoln’s chief economic adviser Henry C. Carey. Because I want you to read my book, I will not repeat my full argument here. 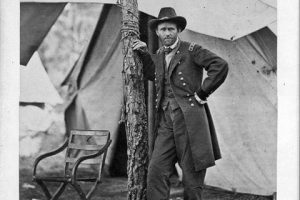 Rather, I will quote from one of Carey’s discussions of this issue, that contained in his November 1868 Open Letter to General Ulysses S. Grant. This letter was written immediately after Grant was elected President the first time, and entitled “Shall We Have Peace?” The title referred to Grant’s expressed desire to achieve peace in all the land. 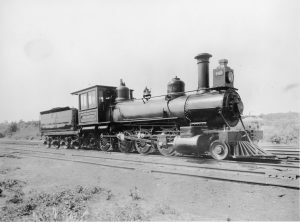 An engine from the B&O Railroad, launched during the John Quincy Adams Administration. In this lengthy letter, Carey outlines the economic policy which Grant must follow if he wishes to achieve his goal. That policy is the one which President Lincoln had intended to carry out, to bind the nation’s wounds, had he not been assassinated. Carey develops his argument by contrasting the course of events in Germany and the United States, pointing out that, by adopting the American System, the German nation is achieving peace and prosperity, whereas the United States, by abandoning it in the 1830s, and giving free rein to sectionalism, drove itself into bloody conflict. 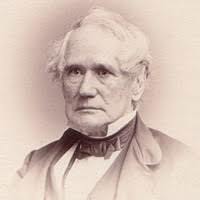 Had our policy been different—had we strengthened the center—there would have been such a growth of domestic commerce that roads would have been made running north and south, northeast and southwest, southeast and northwest, thereby so tying together the various parts of the Union as to render it wholly impossible that the idea of secession should continue to have existence. Carey concentrates on two aspects of the Hamiltonian policy which hold the nation together, a policy he explicitly calls the American System: the revenue tariff and the construction of a road/railroad system to link the regions. When Germany began to emulate the American System, he notes, it established a customs union, which improved internal commerce and brought prosperity with the “opening of mines, building of houses and mills, and the construction of roads,” improving the productive powers of all its people. It then proceeded to build a railroad system which unified the nation even more closely. The origins of this policy was no mystery: the intellectual leadership for this German policy came from Friedrich List , who had studied Hamiltonian economics in the United States with the Careys in the late 1820s. The turning point for the United States, you may recall, came with the Jackson Administration’s war on the Second Bank of the United States, and the abandonment of the Whig policy of a national bank, internal improvements and a protective tariff by the administrations after that of President John Quincy Adams. That would have cost about $20 million, Carey says. And think of what it would have saved in money and lives. General Grant, upon election as President, wanted to secure the peace. In sum, Carey argues, in order to have “permanent peace,” we need to bring the nation together through economic interdependence, and break the dependence on foreign trade. In other articles, he makes it clear that what’s needed to do that is the revenue tariff to fund infrastructure, and upgrade the productive powers of the entire nation. This would include industrializing the South, as well as providing it with domestic markets. Lincoln’s Administration had instituted a great many policies which did tend to improve national unity after the war. These ranged from the Transcontinental Railroad, to the Land Grant College Act, and the establishment of the Agriculture Department. All three of these policies reached into areas of the country which had lacked the investment and infrastructure needed for economic progress, and improved people’s lives. 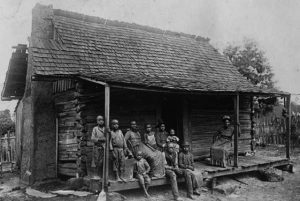 Black sharecroppers in the post-Civil War era. But with the increasing abandonment of American System policies in the Federal government, these policies were not sufficient to create political unity. Large swaths of the Southeast, in particular, remained mired in poverty, immiserating former slaves and keeping the majority of white farmers in penury. Those who wished for a better life all too often migrated to the cities of the North, and the economic divide between North and South, and coast and interior, was maintained, if not worsened. All too often, economic gains were accompanied by a degradation of labor, rather than an improvement in wages and living standards—and that too was a recipe for disaster. Key to the growing disunity was the fact that Grant was convinced to abandon Lincoln’s credit policy, the greenback policy, with the Specie Resumption Act. He thus undermined his own intent to improve the conditions of the liberated slaves, by permitting the major financial houses of Wall Street (and Britain) to de facto control the nation’s financial system. A government committed to Hamiltonian policies of ever-improving powers of labor and technological growth was essential to creating the “harmony of interests” which Carey and Lincoln sought to put into effect. With that government role curtailed, increasing conflict and periodic devastating financial crises ensued. Today, we must not continue to make the same mistake. Hamilton’s American System policies must be restored.